9 FOODS YOU SHOULD DEFINITELY STAY AWAY FROM!!! I disagree with this video on one major point and that is that organic eggs are bad for your health. Despite the fact that eggs have animal fat or cholesterol, the total nutrient balance is quite healthy since an entire chick embryo can develop from it and is not worse than nutritious well balanced whole milk and much better than fatty dairy products such as heavy whipping cream, sour cream, and butter. Of course I would not recommend eating two eggs every day of the week nor would I recommend that you eat any food to excess because each food is detrimental to your health if consumed in excess. I highly recommend this video because the most important truth is that it tries to exclude foods with added sugar, preservatives, artificial flavors and colors. It is also true that artificial sugars in diet soda are also harmful to your overall health. Diabetes is on the increase and the big food processors don’t want you to know the real truth and it is that too much sugar and artificial sweeteners screw up a good insulin balance and overwhelms the pancreas’s ability to normalize sugar in the blood. Most diabetics can be eventually cured with a radical change in diet which reduces sugar intake to a minimum, unless of course the pancreas has been irreversibly damaged. Eating bad food will not kill you if you only have it once in a while such as once a week or every two weeks. The real key to eating healthy is to try and eat organic as much as possible and eat a wide variety of foods. Since each food, especially highly processed food, has some beneficial nutrients and lacks others, you need variety. Trace minerals are also important and I would recommend that you eat wildflower bee pollen, sea weed, or Himalayan and sea salt for trace minerals since one food alone will not give you all the nutrients that you need to stay healthy. This entry was posted in common sense and tagged common sense, food, health, nutrition, truth on May 26, 2018 by uldissprogis. Humans are omnivores and that means that most can eat meat, dairy products, fruits, vegetables, nuts, seeds, and eggs. Yes, some have food allergies and must stay away from certain types of seafood, peanuts, lactose, gluten, sugar, and other food ingredients or compounds. Most of us can eat almost anything and should have as large a variety of food in their diet as possible. The two major myths floating around are that you have to eat a low fat diet to avoid getting fat and that meat is bad for you. The truth is that low fat diets frequently are high in carbohydrates and sugar which may actually make you gain more weight since you eat more of the food and get more calories into your system. Meat may contain traces of growth hormone and antibiotics and most meat is fed GMOs so it is not organic or very healthy but it won’t kill you if you have meat once in a while. If you are paranoid about it then you can eat fish or seafood instead of meat for a healthy protein and fat intake. Trans fats or processed or hydrogenated oils or fats may be bad for you in the long duration but eating natural fat in whole foods is not unhealthy and will not cause heart attacks contrary to popular myth. In fact if you eat natural fatty foods once in a while then you will feel satiated sooner or stop eating sooner and will eat fewer calories than you will on low fat diets. Balanced eating is the key to eating well and if you go on fad diets eating mostly one or a handful of foods then it is a lopsided unhealthy thing to be doing in the long duration. You need a healthy balance of carbohydrates, protein, fat, vitamins, minerals, and trace minerals to stay healthy and the more organic the food intake, the healthier it is for you. If you eat a wide variety of organic food with dairy and meat too then you don’t really need food supplements or pills. To be assured that you are getting trace minerals you can try taking some wild flower bee pollen once in a while, include some sea salt or Himalayan pink salt, or eat some seaweed. Instead of taking a pill supplement find a natural food which contains what you think you need and get it in natural form. Not only will you be getting the vitamin or mineral that you think you need more of in a balanced way but you will be consuming other nutrients which your body needs which you aren’t even aware of. Variety is the spice of life and it will not only make your meals interesting and not boring but you will be eating healthy even if you once in a while indulge in overly processed foods and sweet treats which some claim are bad for you. Even eating non organic fast food once in a while will not kill you or ruin your health in the long duration. Unless it is for specialty health reasons, eating only fruits and vegetables for the rest of your life is not a very exciting prospect and a severe limitation on the pleasurable taste sensations which you can experience in a lifetime. This entry was posted in common sense, education, science, society and tagged balanced diet, carbohydrates, common sense, education, fats, food, minerals, nutrition, organic food, proteins, science, society, the truth about nutrition, trace minerals, vitamins on January 27, 2015 by uldissprogis. THE MOST IMPORTANT PRIORITIES IN LIFE: HEALTHY FOOD, HEALTHY DRINK, MODERATE EXERCISE, AND ENOUGH SLEEP!!! Rich or poor we all need healthy food, healthy drink, moderate exercise, and enough sleep. Even if you are poor or on welfare then you can still budget your time and money and afford good food, drink, can move around, and sleep well. You may have to cut back on impulsive inefficient shopping for other life’s seeming necessities but with enough self discipline you can decrease spending on luxuries which only seem like necessities and you can decrease the quantity of food and drink consumed and concentrate on eating quality nutricious food in lesser amounts. If you are unhealthy and stressed out or depressed and were not born that way then chances are that you are not eating healthy, drinking healthy, getting enough sleep, and not moving around enough. Even if you are a social recluse or social “failure” then you can still be a healthy one if your four primary needs are met. Most animals in nature eat, drink, exercise, and sleep and stay healthy unless they are pack animals who depend on others for their food supply and would starve otherwise. Humans are pack animals but they seldom starve because they get fed and so are entirely capable of living on their own without having to socialize as a necessity. Our western society is getting increasingly unhealthy and dysfunctional social behavior and addictive behaviors are frequently being blamed as the primary causes for bad health. While dysfunctional social behavior and addictions can be contributory causes to bad health the fact is that few are eating healthy food, drinking healthy, moving around enough, and getting enough sleep. Too many artificial drugs are being used to fall asleep, feel good, escape reality, help us socialize, and mask illnesses brought on by bad nutrition causing many bad side effects which frequently lead to taking more artificial drugs to cure the incurable circumstances. Psychiatrists, drug companies, and drug pushers are making a killing selling addictive drugs with bad side effects which are then treated with more drugs. Is insomnia one of your problems? Check the side effects of your illegal as well as legal drugs because they are notorious for disrupting your sleep habits, especially psychiatric or mind altering drugs. Nutrient deficiencies in overly processed food, lopsided intake of sugar and artificial sweeteners, and traces of many unhealthy artificial additives resulting from factory and mono culture farming has ruined the quality of food and drink for many humans. Their number one and two priorities are not being met. The sooner we all switch to eating a wide variety of certified organic food and drinking drinks not artificially sweetened, the sooner will the health of the general population improve. A pill or drug to instantly solve every problem in society is the dangerous myth which is devastating so many lives in western society. If you have a dysfunctional personality then you will not find a quick fix with a feel good drug but you can at least try to make sure that your primary four needs are being met without any artificial drugs being added to the healthy mix of the big four. This entry was posted in common sense, education, science, society and tagged common sense, drink, education, exercise, food, mental-health, nutrients, nutrition, physical health, science, sleep, society on July 21, 2014 by uldissprogis. CAUTION: MISLEADING FOOD LABELS WITH HEALTH BUZZWORDS!!! Beware of foods labeled with seemingly healthy buzzwords such as antioxidant, immune support, heart healthy, natural, gluten free, organic, whole grain, sugar free, low fat, etc. all of which are designed to sell you frequently basically unhealthy lopsided processed food which is not certified organic or pure highly nutritious food without undesirable chemicals included. Educating yourself on what ingredients are healthy and which are not takes more skill than just reading buzzwords and making impulsive decisions based on only one or two words which sound healthy but are really deceptions. If you feel helpless and don’t know what to do at least read the ingredients listed and Google them to find out if they naturally exist in the food or are unnecessary artificial and potentially unhealthy additives. 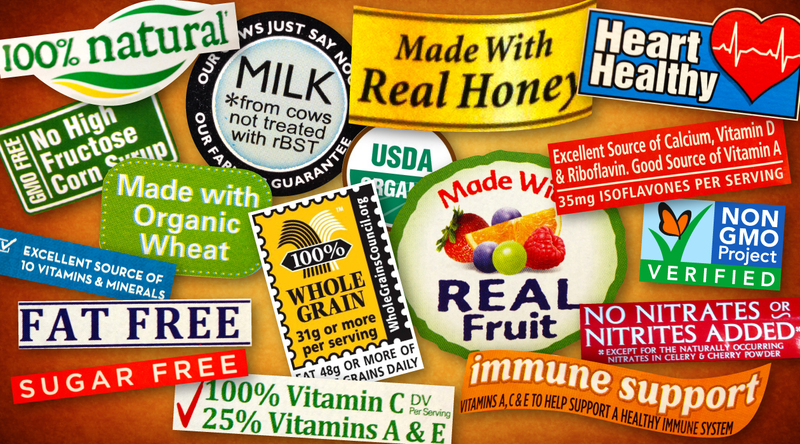 Here is a link which only covers a handful of these misleading health word labels. This entry was posted in common sense, education, science, society and tagged advertising, common sense, education, false advertising, food, health, labels, nutrition, organic, science, society on June 13, 2014 by uldissprogis. 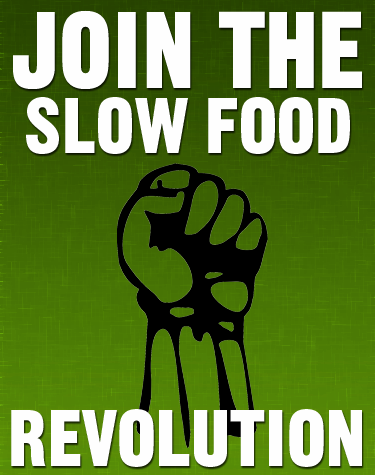 WHAT IS THE CLEAN FOOD MOVEMENT? The clean food movement basically insists on labeling food honestly and thoroughly answering these questions which every consumer should have about their food. This entry was posted in common sense, education, globalism, science, society and tagged clean food movement, common sense, education, food, food labeling, GMOs, health, nutrition, organic food, science, society, truth on May 19, 2014 by uldissprogis. 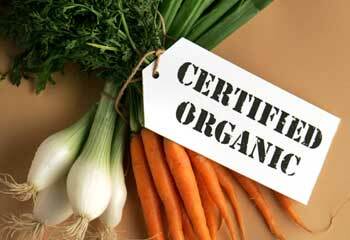 Soon even a USDA certified organic label will not be a guarantee of true organic food without artificial ingredients or contaminants. 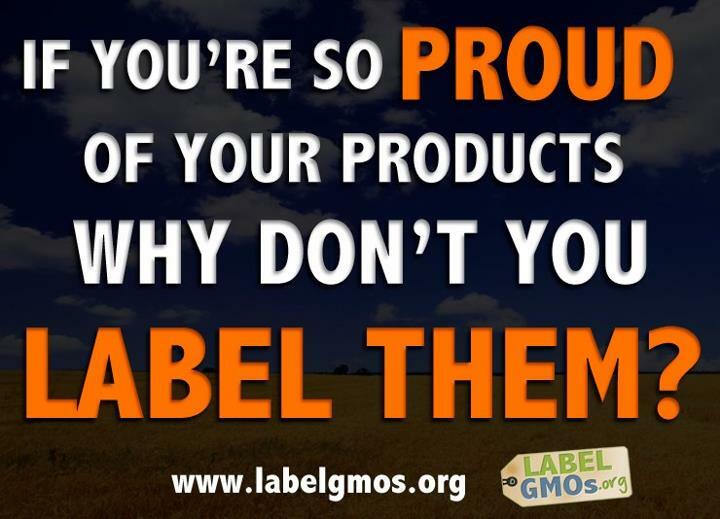 Agribusiness and large food corporations are hell bent on polluting the integrity of government backed organic food labels with weaker fraudulent standards. If you liked this evergreen blog read more of them, about 700 so far, and read one or more of my evergreen books, especially COMMON SENSE, truth in a human world filled with lies and deceptions. This entry was posted in common sense, education, science, society and tagged common sense, education, food, health, nutrition, science, society, truth, USDA certified organic food on April 7, 2014 by uldissprogis. Avoiding as many GMO’s as possible is the smart thing to do because herbicide resistance in plants and plants making a poison which kills insects is not a plant that you want to ingest into your body since it is highly probable that it will have long duration bad effects on your health and the health of your newborns. Here is a link which tells you how to avoid most unnatural GMO tainted foods. This entry was posted in common sense, education, globalism, science, society and tagged certified organic food, common sense, education, GMOs, good health, health, nutrition, science, society on March 25, 2014 by uldissprogis.